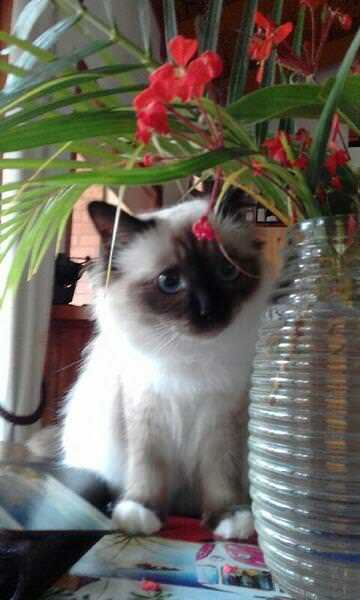 Sadie - an almost 2 year old Birman. She was rescue from my previous clinic. She was a very naughty kitten who didn't eat her biscuits, only the raw meat and subsequently had no calcium in her system. She then took a small tumble and ended up with two broken legs and a broken pelvis. 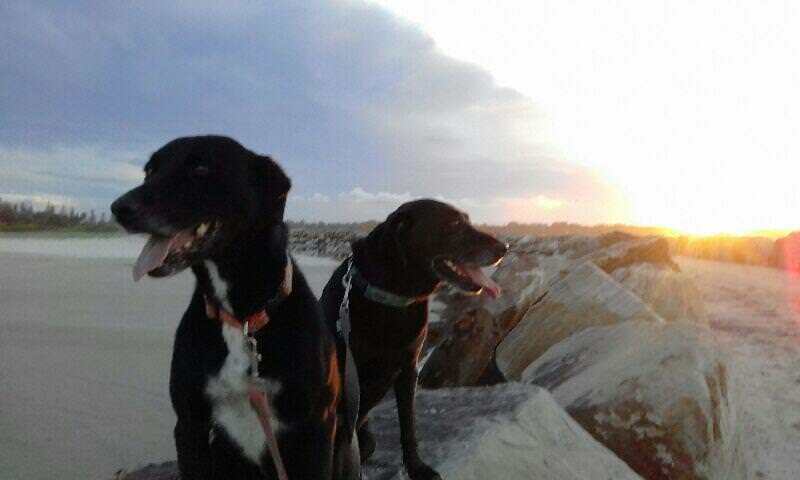 Tyra (front) and Coco (back). Tyra is a Whippet X Kelpie and Coco is a Labrador X Staffy. Both are geriatrics. Here is Tango. The newest edition to the family. Also the one that I mentioned in the shoutbox that is shedding white hair everywhere. She is approx. 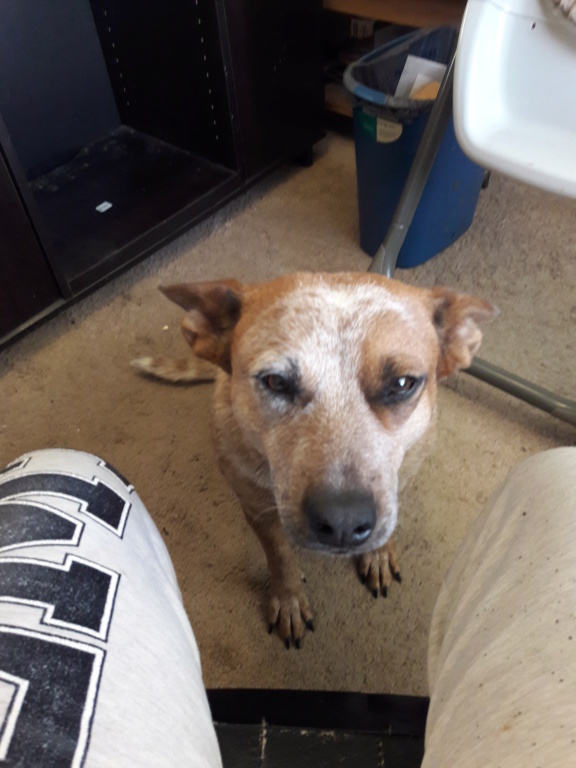 2 years old and a pure bred Red Heeler. She is the main reason that we decided to pull the rest of the carpet in the house (husband's hobby room and the bedroom) now instead of later. Tango already looks like she's ready to rock out and round up some cattle! Awesome pup! 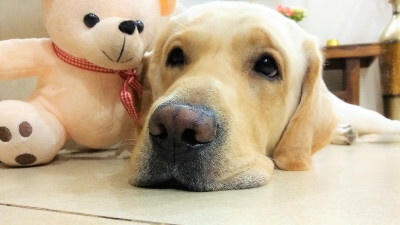 This is Jimi, my 3 year old Labrador Retriever. Named him after Jimi Hendrix. He loves his li'l Teddy! I'd have to say that Jimi looks like he's not at all ready to rock out and find things to bring back to you! Still a beautiful pup, though, and well on the way to being a great friend.